Contains: Cardamom Essential oil : Cardamom essential oil has good anti bacterial properties when applied in a carrier bse to cuts, scrapes and abrasions. 100% Vegetarian. For All skin types. Look how neat the soap packaging is! Fragrance: It has to get an A+ when it comes to the aroma of cardamom. It doesnt smell like cardamom. It is cardamom! Can't describe it better! Experience: It lathers light indicating yet again a minimal use of harmful chemicals. The feeling after each bath is so soothing because of the aroma and the body feels soft and moisturised. Its an aromatherapy wonder! Form: The soap feels like a slab of smooth butter. Surprisingly it doesn't melt after bath ensuring no wastage. It doesn't slip while usage. I prefer to keep my soap in an open ceramic dish as seen here before. Final Verdict: The soap lasted me a good 1 month 10 days with single person usage. Except the price everything is so good about this soap .I cant think of any other soap with a cardamom aroma along with the goodness of olive oil which you can feel on your skin. It can soothe your mind and take you to a zen haven! HIGHLY RECOMMENDED! Remember the soap I reviewed last time? In case you want to go back and read it, click here. 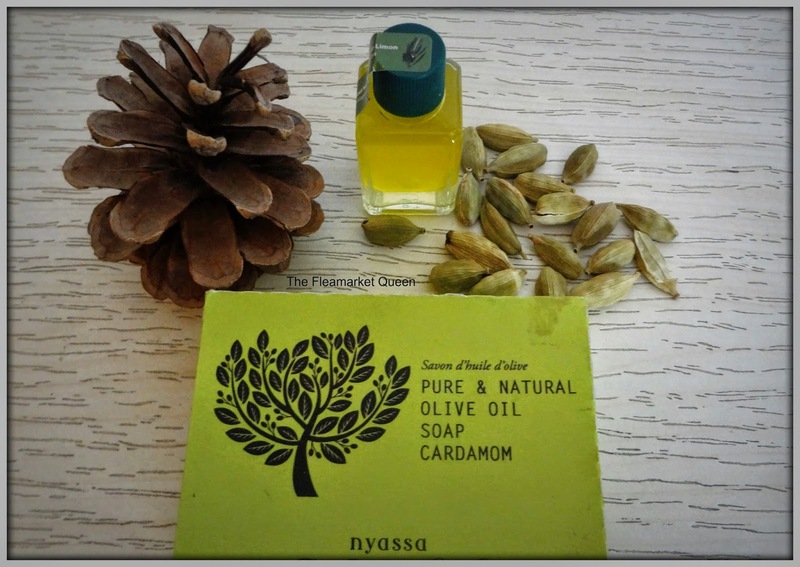 These two are my favorite Nyassa handmade soap picks all year round! Have you tried any of these? Would you like to try these soon? Let me know in the comments section.